TORONTO, Ont., Canada, July 12, 2015 – At the 2015 Pan American Games, the U.S. women won their fourth straight, and 13th overall, Pan Am Games team title. 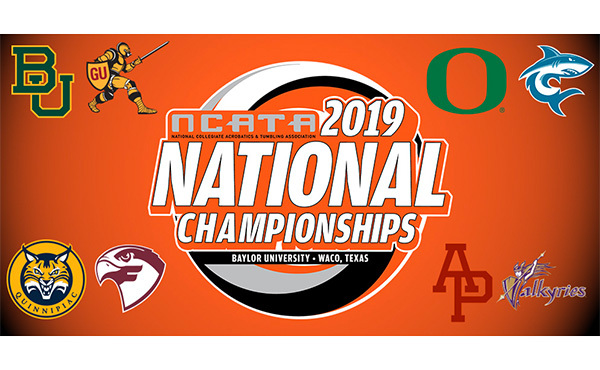 Amelia Hundley of Fairfield, Ohio/Cincinnati Gymnastics, and Madison Desch of Lenexa, Kan./GAGE, qualified for the women’s all-around finals tomorrow at 6:50 p.m. 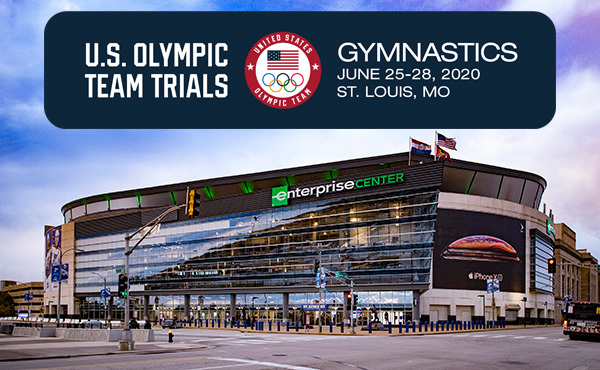 ET, and Sam Mikulak of Newport Coast, Calif./Team Hilton (U.S. Olympic Training Center), and Donnell Whittenburg of Baltimore, Md./Team Hilton (USOTC), will compete in the men’s all-around at 12:45 p.m. ET at the Toronto (Ont., Canada) Coliseum. 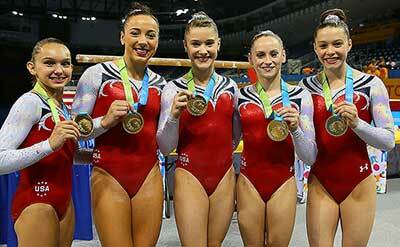 The USA tallied a 173.800 team total for the gold, with Canada finishing second (166.500) and Brazil in third (165.400). The members of the U.S. Pan American Women’s Gymnastics Team are: Desch; Rachel Gowey of Urbandale, Iowa/Chow's Gymnastics; Hundley; Emily Schild of Huntersville, N.C./Everest Gymnastics; and Megan Skaggs of Marietta, Ga./Gymnastics Academy of Atlanta. The U.S. women have won the Pan Am team title from 1959-75, 1983-95 and 2003-15. This is also the first time since 1995 that the United States has won both the men’s and women’s team titles at a Pan Am Games. In addition to the all-around, the team competition also was the qualification round for the individual event finals. The U.S. women will compete in three: uneven bars – Gowey and Hundley; balance beam – Gowey and Skaggs; and floor exercise – Desch and Hundley. The U.S. men will compete in all six event finals: floor exercise – Mikulak and Whittenburg; pommel horse – Marvin Kimble of Milwaukee, Wis./U.S. Olympic Training Center, and Mikulak; still rings -- Whittenburg; vault – Whittenburg and Paul Ruggeri of Manlius, N.Y./Team Hilton (USOTC); parallel bars – Mikulak and Whittenburg; and horizontal bar – Ruggeri and Mikulak. Schild led off for the U.S. team on floor and posted a 13.750 after mounting with a front handspring to double front. Desch posted the leading score on the event (14.650), tumbling a whip to Arabian double, a one-and-a-half to front double full, a triple full and a double back. Mounting with a double layout to split jump, Hundley scored a 14.300. The team score was 42.700. All four of the U.S. vaulters executed clean Yurchenko double fulls and gave the USA a 45.100 for the team score. Hundley was the top scorer at 15.100. Schild was close behind at 15.050, followed by Desch with a 14.950. 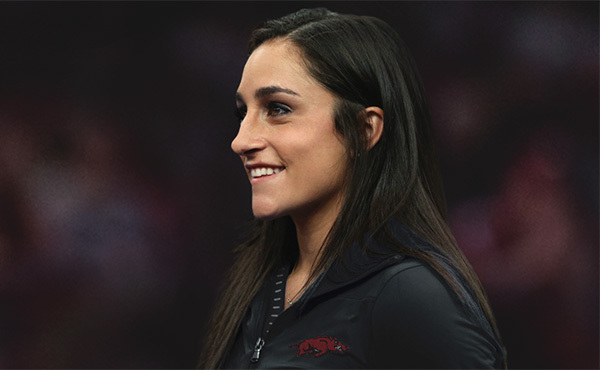 Gowey made her first appearance of the day on the uneven bars, where her 14.750 led Team USA. She executed an in bar stalder Shaposhnikova to immediate giant full pirouette, a stalder Tkatchev and a Pak salto before finishing with a double layout. Hundley, 14.500, and Desch, 14.450, were close behind and helped the U.S. to a 43.700 total. Gowey was the highest scorer on the balance beam for the United States with a 14.500. She was solid through a back handspring, layout, layout series, a front tuck to wolf jump and a piked front flip. She closed with a two-and-a-half twist. Skaggs, 14.050, and Hundley, 13.750, added counting scores to the U.S.’s 42.300 total on the event. Gymnastics continues tomorrow with the men’s and women’s all-around finals at 12:45 p.m. and 6:50 p.m. ET, respectively. Yesterday, the U.S. men won the Pan Am team title for the first time since 1995. Sam Mikulak of Newport Coast, Calif./Team Hilton (U.S. Olympic Training Center), and Donnell Whittenburg of Baltimore, Md./Team Hilton (USOTC), qualified to the all-around finals on Monday at 12:45 p.m. ET. The U.S. Pan American Men’s Gymnastics Team includes: Marvin Kimble of Milwaukee, Wis./U.S. Olympic Training Center; Steven Legendre of Norman, Okla./Team Hilton (University of Oklahoma); Mikulak; Paul Ruggeri of Manlius, N.Y./Team Hilton (USOTC); and Whittenburg. 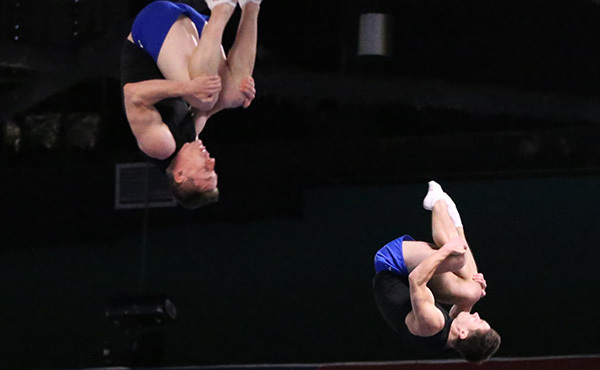 In addition to the all-around, the U.S. men also qualified to all six event finals. The qualifiers for event finals are: floor exercise – Mikulak and Whittenburg; pommel horse – Kimble and Mikulak; still rings -- Whittenburg; vault – Whittenburg and Ruggeri; parallel bars – Mikulak and Whittenburg; and horizontal bar – Ruggeri and Mikulak. The artistic gymnastics schedule is: July 13 – men’s and women’s all-around finals; and July 14-15 – men’s and women’s individual event finals. Trampoline follows on the heels of artistic gymnastics, with men’s and women’s qualifications and finals on July 18-19. The U.S. squad features: men – Logan Dooley of Lake Forest, Calif./World Elite Gymnastics, and Steven Gluckstein of Atlantic Highlands, N.J./Elite Trampoline Academy; and women – Charlotte Drury of Laguna Niguel, Calif./World Elite Gymnastics, and Clare Johnson of Huntsville, Ala./The Matrix. 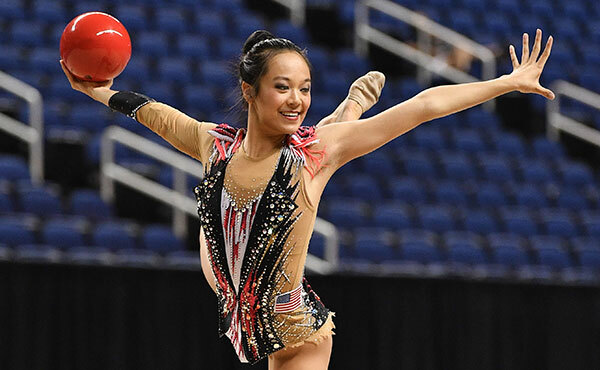 For rhythmic gymnastics, Jazzy Kerber of Highland Park, Ill./North Shore Rhythmic Gymnastics Center, and Laura Zeng of Libertyville, Ill./North Shore Rhythmic Gymnastics Center, are competing, along with the senior rhythmic group. The members of the rhythmic gymnastics group, who train at North Shore Rhythmic Gymnastics Center, are: Kiana Eide of Northbrook, Ill.; Alisa Kano of Glencoe, Ill.; Natalie McGiffert of Northbrook, Ill.; Monica Rokhman of Northbrook, Ill.; Jennifer Rokhman of Northbrook, Ill.; and Kristen Shaldybin of Chicago. Rhythmic qualifications are July 17-18, with finals on July 19-20. 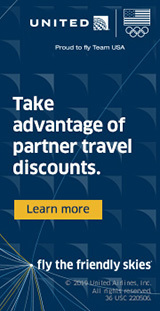 For more information, go to Toronto2015.org. ESPN and ESPN2 will present live 66 hours. ESPN’s telecasts will kick off with the Opening Ceremony on Friday, July 10, at 7:30 p.m. – marking the first English-language live presentation of the ceremony in 30 years – and wrap up with a five-hour live window on July 26 for the closing day of the Games, starting at 1:00 p.m. 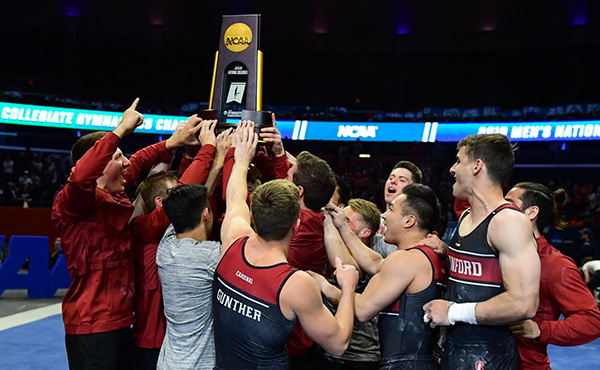 Between July 11- 25, ESPN2 will present two to six hours of daily live coverage focused on men’s and women’s basketball and volleyball, diving, swimming, gymnastics, boxing, track and field, and soccer. The network will also present daily highlights of all medal winners and the action across every venue.